Homeerror : Either the user does not have access to the Dynamics AX database, or the database does not exist. error : Either the user does not have access to the Dynamics AX database, or the database does not exist. 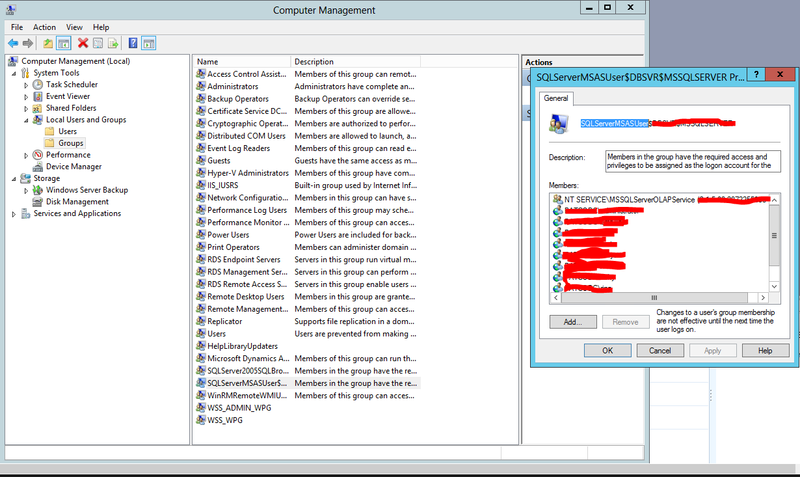 Go to computer management and on group SQLServerMSASUser , add user that running the report analysis.